Nintendo might have stated under no uncertain terms that it wouldn’t reveal the Nintendo Switch price until 2017, but that hasn’t stopped leaks springing from various retailers this week. The latest information has come from a listing on the Canadian Toys R Us site, which BGR reports had the Nintendo Switch launch price as $329.99 which would convert to around $249 in the US. That's £200 in the UK and AU$330 in Australia. The listing has since been removed and Nintendo hasn’t commented on its accuracy, but it does fall in line with other reports that emerged this week. 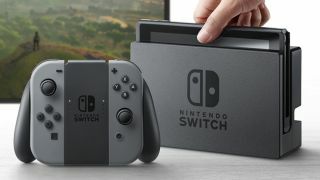 It was recently reported that two reliable sources from UK retailer Game had revealed the Switch would launch in the UK for £199.99 and that pricing across other regions would be close to a direct price conversion. This listing leak from Toys R Us certainly backs up the information in the report as with rough direct conversion. The listing doesn’t, however, shed any light on the plausibility of other rumors that a premium model bundled with a game would be released for £249/ $299 or that the console’s controllers would be available to purchase separately for £39.99. Though it seems like a price point that’s bordering on too good to be true, the fact that both of these leaks substantiate one another's claims is a good sign. Regardless, it’s unlikely that we’re going to hear anything from Nintendo, confirmation or denial, until 2017 when it’s ready to officially reveal the launch price for itself.